We're happy to announce Bitwig Studio 2.5, check it out. In this new video installment, you’ll learn how to use multiple audio files to create a multisample instrument. We caught up with Vessel about his new album 'Queen of Dogs' and his production process. Meet us at the Festival Hangout area in De Brakke Grond and join Camo & Krooked for their Studio XL session. Bitwig is attending AES New York for the first time. Enjoy this extensive video tutorial to master the Sampler in Bitwig Studio 2.4. We met up with legendary Detroit producer Claude Young, the man behind the new artist package Cinematic Synth Sounds. Bitwig Studio 2.4 is out now, go get it. 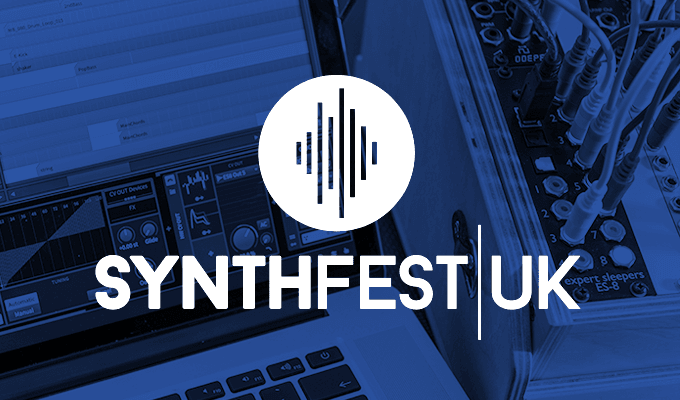 IMSTA FESTA is a celebration of music technology and a free event open to everyone in the music-making community: professional and semi-professional musicians, songwriters, music producers, and audio engineers, as well as music students and educators. The Bitwig Edition of the Expert Sleepers ES-8 USB Audio Interface for Eurorack is back in stock. Making music is hard enough, but once the creative process is done, the questions begin. We're happy to announce Bitwig Studio 2.4, check it out. We're presenting Bitwig Studio at this year's IMSTA FESTA Chicago at SAE Institute Chicago July 21, 2018. Writer and educator Dave Linnenbank gave a synthesis workshop for Bitwig at Superbooth18, looking at modular, analog hardware beside digital phase-manipulation techniques. Ask.Audio contributor Matt Vanacoro is diving into Bitwig Studio's bundled instruments and effects. We’ve added 15 great-sounding presets from sound designer and community wizard Taika-Kim. Check them out. We’ve aligned ourselves with the new data protection regulations. Presenting the first live online certification event for professionals, June 12, 2018. Join this online event and get officially accredited as a Certified Professional by Bitwig. This project is a collaboration between Bitwig and Ask.Video and is moderated by Bitwig Certified Professional Thavius Beck. If there’s a producer stateside the world has admired for style, knowhow and panache, it’s John Tejada. Presenting a unique collaboration between Bitwig and Expert Sleepers. Get your Bitwig branded goodies in the Bitwig merch shop. Learn all about Phase-4, the new phase manipulation synthesizer, with Ask.Video and Bitwig Certified Professional Thavius Beck. Join our workshop for an overview of synthesis methods focusing on phase distortion and phase modulation. 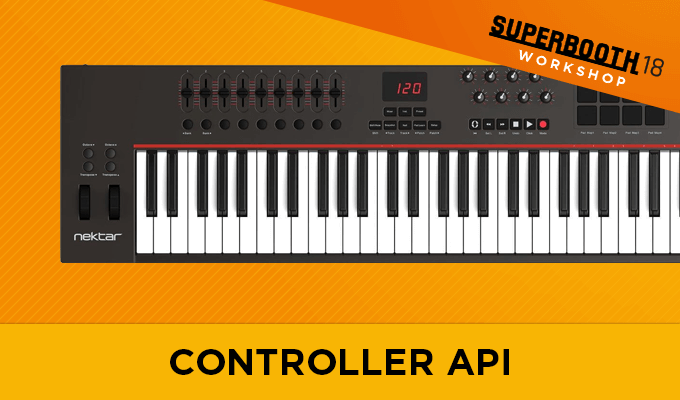 Join our Superbooth DIY Controller API Workshop. Come see us at the Bitwig booth (E241) in the foyer, meet the team and jam with us. Learn about MPE (multidimensional polyphonic expressions) and how to edit them in various DAWs. Eric Kauffmann is based in Mexico and is running one of the most well known YouTube music production tutorial channels in the Hispanic community. A closer look at the Instrument Selector and FX Selector devices, new in Bitwig Studio 2.3. Bitwig Studio 2.3 is out now. Join us for a visualized exploration of phase distortion and phase modulation, hear what inspired us to join these techniques, and start adding both subtle and snarling sounds to your tracks today. We're presenting Bitwig Studio at this year's IMSTA FESTA Miami at SAE Institute Miami on February 24, 2018. Bitwig will be exhibiting in the booth of our BeNeLux distributor, Amptec. Visit Amptec at the Expofloor booth #29 and try our latest version: Bitwig Studio 2.3. The beta version of Bitwig Studio 2.3 is available now. Everyone with a Bitwig Studio 2 license can try out the great new features of Bitwig Studio 2.3. Join us in sunny California for NAMM show, January 25-28. Learn Bitwig Studio live online with Ask.Video and Thavius Beck and earn your official diploma.